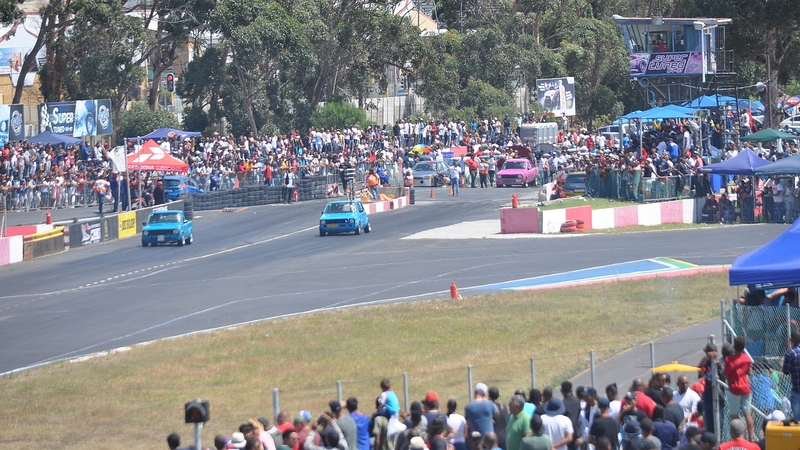 Killarney International Raceway’s annual year-end StreetFest is by far the Cape’s biggest counterculture motorsport festival, bringing together spinners, drifters, customisers, sound-off competitors and some of the country’s top drag racers on two and four wheels for a tyre-shredding street party of epic proportions. At 6am (you read that right, six o’clock in the morning) the queue of spectators at the gate stretched more than a kilometre down Potsdam Road and by the time racing started at 9am the stands were packed to capacity, as was the bank behind the back straight, and there was standing room only on the balcony of the New Pits Lounge, which had been made into a pop-up pub for the occasion. 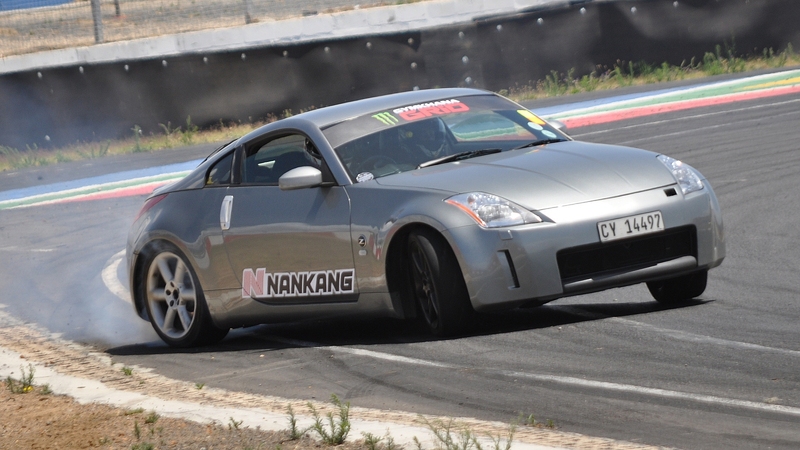 And there was plenty to see, with a number of racers from Gauteng challenging the Cape’s fastest quarter-mile drivers and riders. 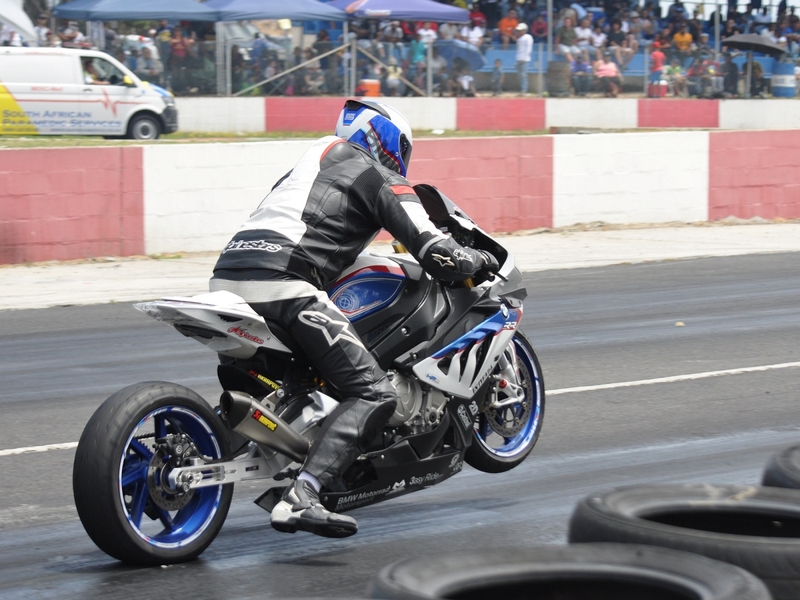 Local honour was defended by Hermann Mahnke’s monster twin-turbo V8 Chev Lumina Ute and South African Superbike Shootout champion Reece Robertson on a Suzuki GSX-R1000. Mahnke laid down the fastest four-wheeled time of the day early in the afternoon after struggling with fuelling issues all morning, posting a blistering 8.99 second pass. He was in fact the only car driver to get into the eights and one of only five who broke 10 seconds on the day, followed by Kirschlee Naidoo in a monster Lancer Evo with a 9.70, Shaun Zurich from Gauteng in a Honda Civic with a 9.71, Rameez Ebrahim in a tuned-to-the-max Audi TTRS on 9.79, Jannie Badenhorst from Gauteng’s Golf Mk1 turbo (9.97) and Willie Nel’s old-school Chev Can-Am with a best time of 9.98 seconds. Robertson and the BMW posted a superb 8.86-second run at 246km/h but that was only good enough for third on the day, behind second-placed Garion Slamet (BMW S1000RR) on 8.76 seconds and 255km/h. However, nobody had an answer for Kashief Mohamed’s supercharged, nitrous oxide-boosted Kawasaki H2, good for an estimated 300+ horsepower at the back wheel. This brutal machine proved very difficult to launch, but his best pass of 8.727 seconds and 266km/h posted both the quickest time and the highest terminal speed of the day. 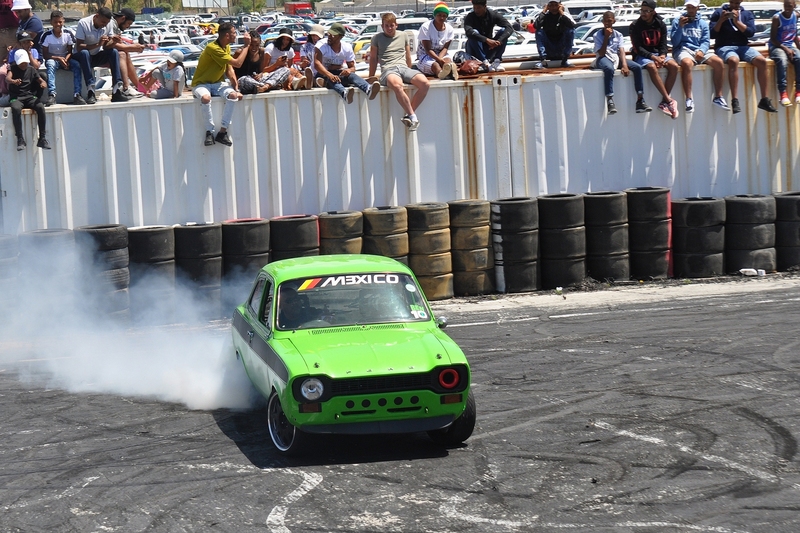 There was a whole lot more tyre shredding going on in the spinning arena at the south end of the New Pits Complex, where local spinners wowed the cheering spectators as they converted rubber into smoke – with the loudest cheers coming as each tyre burst with a loud bang. The oval belonged to the drifters, who turned tyre smoke into an art form with long, (mostly) smooth slides around G-Energy corner, and automotive ballet when two of them were on track at the same time. 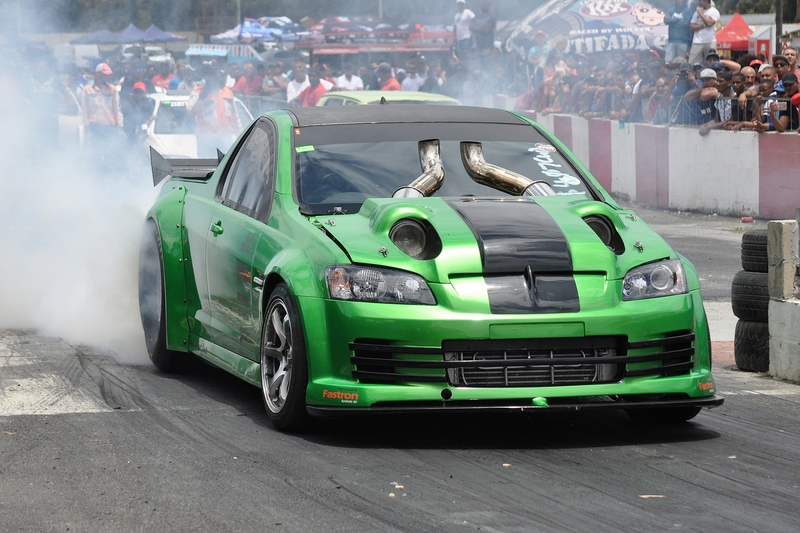 It wasn’t tyres that were being shredded under the Lounge in the New Pits, however, but ears, as the competitors in the official International Auto Sound Challenge Association sound-off amped up the power to levels louder than a fighter jet on take-off. That’s enough to deafen you for life if you’re sitting in the car, which is why the controls are always remotely operated from outside, with all the doors and windows shut.